Involved actively in the OGC from the beginning, Doug was a familiar face, a brilliant mind, and a gracious individual. Doug chaired several working groups, contributed to countless OGC documents, and worked tirelessly to advance the vital components of Spatial Data Infrastructure at all levels of government - not only in the USA on behalf of the US Federal Geographic Data Committee, but around the world. He was a recognized expert on all things geospatial, and was well known for his expertise in metadata and catalogs. Doug was also a member of a small group of insightful OGC members who in the late 1990's helped establish what has become today's OGC Interoperability Program. In 2005, Doug received OGC's highest award, the Kenneth D. Gardels Award, for his significant personal and professional contributions to advancing the OGC community, and for his leadership in advancing geospatial interoperability and open standards globally. Most importantly, Doug was known as a dear friend and cherished member of the OGC family. He will be sorely missed. Dates for the Memorial Services to celebrate Doug’s life have yet to be determined, but they are targeting the August/September timeframe and they will occur in Portland, Oregon and Reston Virginia. We will forward the additional information once it becomes available. If anyone would like to make a contribution, the family asks that donations be sent to two different charities in Doug’s and his granddaughter Zoey’s honor. Donations can be made in Zoey’s name to the Teddy Bears for Kids program by clicking here. In Doug’s name, donations can be made to the Young Eagles program by clicking here. We on OGC staff have received many messages from people who are deeply saddened by this news. I include some of these below as part of this blog post. If you would like to share with his family and others who knew him your condolences and your memories and thoughts about Doug, we invite you to leave a comment to this blog. "A long-time employee, friend, and colleague, Doug's career spanned over 30 years of service with USGS. Ever committed to furthering the availability and use of geospatial and mapping technologies to address important issues, Doug was known nationally and internationally for his expertise, technical ability, and dedication to building cooperative relationships, integrated technical solutions, and spatial data infrastructures. The ripples of Doug's loss will literally be felt by colleagues and friends around the world." "That is tragic news - I was travelling when I learned of Doug's accident. Shocked and saddened, our thoughts go out to his family - we will miss him." "I don't know how express my sadness, what a big loss. I started to get to know Doug better as we worked closely on AIP-7." "It is absolutely heartbreaking. Doug did great work and made major contributions toward interoperability. He was also one of my first AIP friends. I will miss him." "I just learned about Doug's accident and his passing. Truly shocking and very, very sad. I just spoke with Doug in the recent past about his plane and his flying . My heart is very heavy and my sincerest condolences go out to his family. He will be sorely missed." Doug was a valued colleague and friend. I will miss him greatly, as will his numerous Australian colleagues. My deepest sympathies to Doug's family, friends and colleagues at this tragic loss. I was always impressed by the depth of Doug's knowledge and just as importantly, by his action - he was a one-man interoperability show case. Importantly for me in our interactions, he was not aloof, and was willing to share his knowledge with me, a newcomer. I wish you solace and peace. We are heartbroken to hear about Doug here at NOAA. We put up a tribute on the Digital Coast blog http://csc.noaa.gov/geozone/doug_nebert with some NOAA memories. What a loss for the geospatial community. Still in shock. ISO/TC 211 wishes to express our deep regret and sorrow at the passing of Cliff Kottman on March 26, 2014 after a long period of illness. Cliff was present at the first ISO/TC 211 plenary and the first representative from OGC to ISO/TC 211. He participated in our work for several years, as a liaison as well as an expert from the USA. ISO/TC 211 also wishes to express its deep regret and sorrow at the tragic loss of Douglas Nebert who died together with his granddaughter in a plane crash in Oregon, USA, on May 31, 2014. 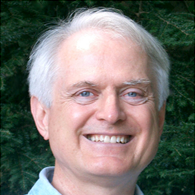 Doug was a part of ISO/TC 211 in the period of 2001 to 2004, and many of the delegates have also met and cooperated with him in later years through other organizations. ISO/TC 211 expresses its gratitude for the years we knew Cliff and Doug, for the friendship we shared with them, and their contributions to the community. We are grateful and proud for having known them as professional and enthusiastic colleagues. We ask those that were close to them, and know their family and friends at home, to convey our sincere sympathy and warmth, and assure them of our high regards for Cliff and Doug. I knew Doug for many years via OGC and other SDI activities. Most of my GIS life is touched by and a result of Doug's efforts and contributions. From day one (1990s) I was constantly amazed by Doug's versatility. For example, he was someone who was able to do high level presentations, communicate with management, talk standards / architecture, and if that wasn't enough, also have the capability to hammer away at a console. This is something I always respected and looked up to. Condolences to Doug's family and loved ones. Rest in peace. Your email on the tragic passing of Doug Nebert has made many of us in Canada reflect on Doug’s accomplishments and his significant impact on our geospatial community. Since the early 1990’s Doug was a strong advocate and advisor on the use of open geospatial standards and supporting technologies for the benefit of many international geospatial/earth observation data infrastructure programs including Canada’s. During the early phases of GeoConnections, often via the OGC interoperability program, Doug facilitated several Canada and US interoperability collaborative projects in the areas of innovative technology development, catalogue and data interoperability. The standards, infrastructure and technologies resulting from these efforts in large part formed the technical foundation for GeoConnections, and are now being carried forward in our Federal Geospatial Platform initiative. Doug had the ability to clearly communicate multiple perspectives on complex geospatial issues from a business, policy and technical viewpoint that uniquely qualified him as a true leader in the international SDI community. He was a dynamic, approachable individual who helped further geospatial interoperability at every opportunity. Many of my staff and those of other federal government departments have benefitted from Doug’s’ advice over the years. In recent years his technical leadership within OGC, GSDI and the Arctic Spatial Data Infrastructure continued to further international interoperability efforts. I am hoping the Canadian community will have a forum during OGC’s upcoming Calgary Technical Committee meetings to further honour Doug. On a personal note, I am also aware that you worked side by side with Doug for many years at the FGDC, and I am very sorry for your loss of a close friend. This is a great loss to world geospatial community. He was a personal friend and helped us in formulating our strategies in India for SDI. We pray the Almighty to rest his soul in peace in Heaven and give the courage to his family and friends to bear this irreparable loss. Tragic death of Doug Nebert, a long-time contributor to the GSDI Association's technical activities, was announced on 31 May. It is with great sadness that we announce the tragic death on 31 May of Douglas Nebert, former Chair and current vice-Chair of the GSDI Technical Committee and one of the driving forces behind development of the Association’s SDI Cookbook, including its launch as an online wiki. 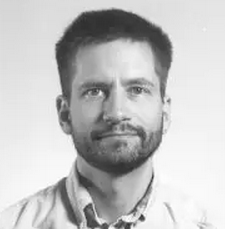 Doug’s career spanned more than 30 years with the US Geological Survey (USGS). He was Senior Advisor, Geospatial Technology, with the Federal Geographic Data Committee (FGDC), where he had also served in the past as Geospatial Team Lead at Recovery Accountability and Transparency Board, USGS Representative to the Technical Committee at the Open Geospatial Consortium, NSDI Clearinghouse Coordinator at USGS and Hydrologist. Doug, aged 51, had relocated to Newport, Oregon, from where he was piloting his small plane with two family members when it went down in unknown circumstances in Toledo, Oregon, en route to Seattle. Doug will be greatly missed by his friends and colleagues in the Association and from across the geo world, and will be remembered by us all for his friendship and many contributions to developing SDIs in the USA and globally. We extend our deepest sympathy to his family. I Just learned about Doug's tragedy. Truly, truly shocking and very very sad. Doug and Dee were extremely generous when we moved to USA with me and my kids. This is heartbreaking. My heart and prayers go to Dee, Corey and the entire family. I too had known Doug since the last century. Of course his work jumped out when I started investigating geospatial metadata. When I subsequently got involved in OGC our paths started crossing regularly. Doug made a number of visits to Australia, and it is a real credit to him that for the 'visiting star' he was such a calm and unassuming guy. Also to his credit is that he was always willing and capable of re-evaluating a position and making adjustments in order to increase effectiveness. Doug and I served together for a number of years on OGC Architecture Board, where his wise yet firm contributions were always appreciated. I was truly saddened when I heard this shocking news. I'm saddened by the loss of Doug. His outstanding personality will continue to serve as a model of working for the good of fellow people and finding solutions in complex situations. My condolences to his family. I only knew Doug for 5 years, and I only met him every few months at OGC meetings, but it was obvious he was a special person - vast knowledge and experience, gracious in imparting it, generous in explaining details and reasons to an inexperienced newcomer, and with a wry sense of humour. HIs and his grandaughter's death is a real tragedy for all who knew him and I cannot express fully my deep sympathies and condolences to his family, friends and colleagues.